Jilly Bean is a sativa-dominant hybrid that is consistently one of the most inviting and enjoyable strains you’ll ever come across. Its hench buds are compact with a remarkable amount of keef throughout. This strain gives off a strong grapefruit scent that is so sweet and citrusy you couldn’t even tell it was weed if you weren’t looking. 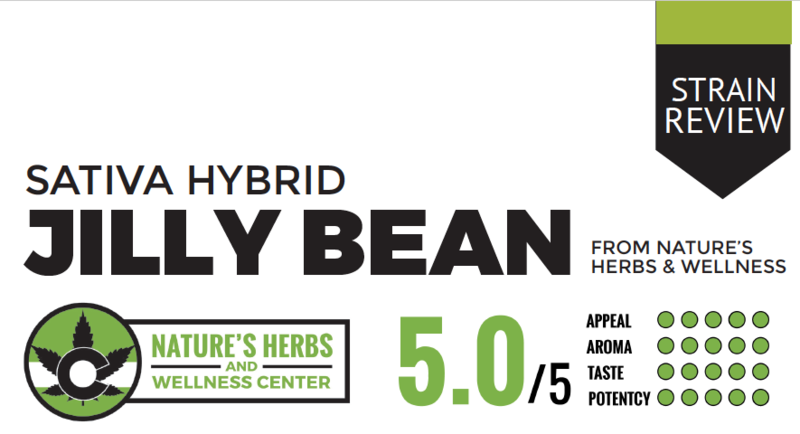 Jilly Bean is a bright and crisp strain that delivers the same feeling when smoked. Again, these buds look and smell stunning. Bred by crossing Orange Velvet and Space Queen, Jilly Bean often expresses itself with deep hues of maroon on its leaves. The buds themselves have a great amount of orange hairs further resembling a delicious grapefruit. This is one of those strains that gives you the most for your money. Because of how dense these nugs are, a little goes a long way. Once you’ve taken a few hits you’ll notice that the effects are fast acting. This strain is perfect for those creative and social situations. You’re mindful and aware of your surrounding while also being completely elated. It’s a very exuberant and uplifting head high that complements your motivational thinking. No weight on your mind or latency in reaction. I’d recommend this strain for a daily smoker that is just trying to get by and stay high. While certainly ancient in its’ origins, there is still a lot of unknowns when it comes to cannabis and its’ effects on humans; young and old.